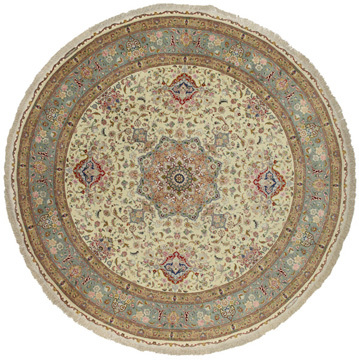 The city of Tabriz is the capital of Azerbaijan province in Northwestern Iran. 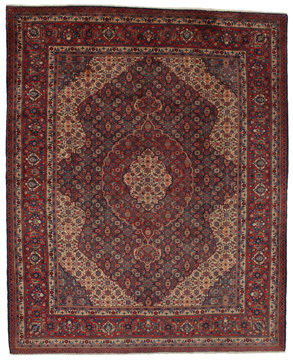 Until the end of the caravans era it was the most important centre for trade and carpet weaving. 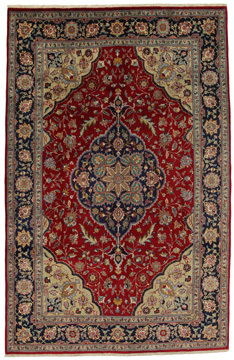 Tabriz supplied the West with masterpieces that were made by renowned and very capable weavers. 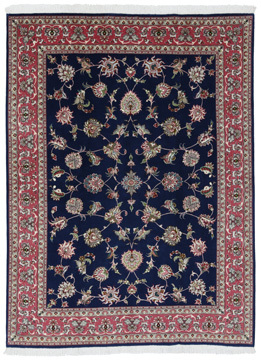 Their high quality of Tabriz carpets made them renowned in world markets. 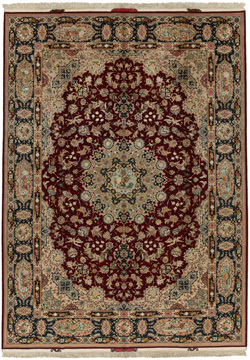 Many workshops where created where hand-woven carpets with very high density knots and high quality materials where woven. 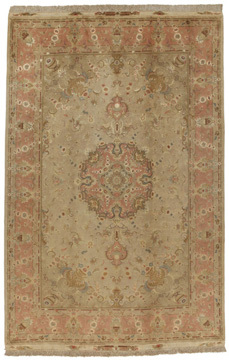 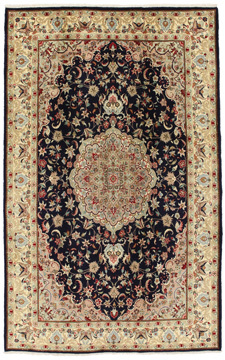 Silk and fine quality wool establish these carpets as very high class. 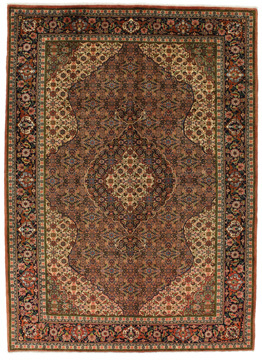 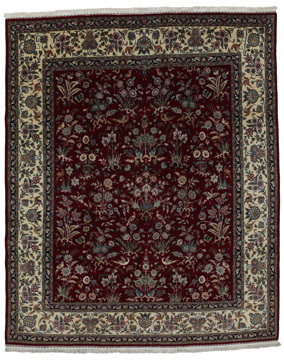 No other city in Persia produced such large quantity or variety of carpets. 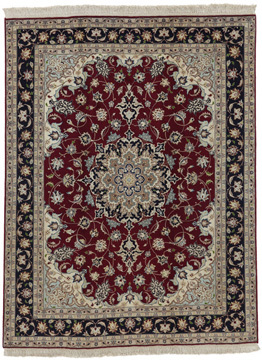 With or without a medallion, their designs are full of imagination and individuality. 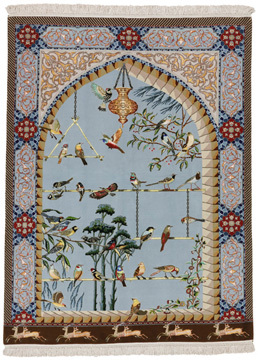 Flowers, scenes, stanzas of poems often decorate them. 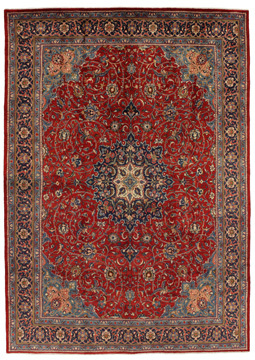 Their predominant colors are beige, blue and red.